and raised £250 each for two local hospice charities, St Kentigern and St David’s. . 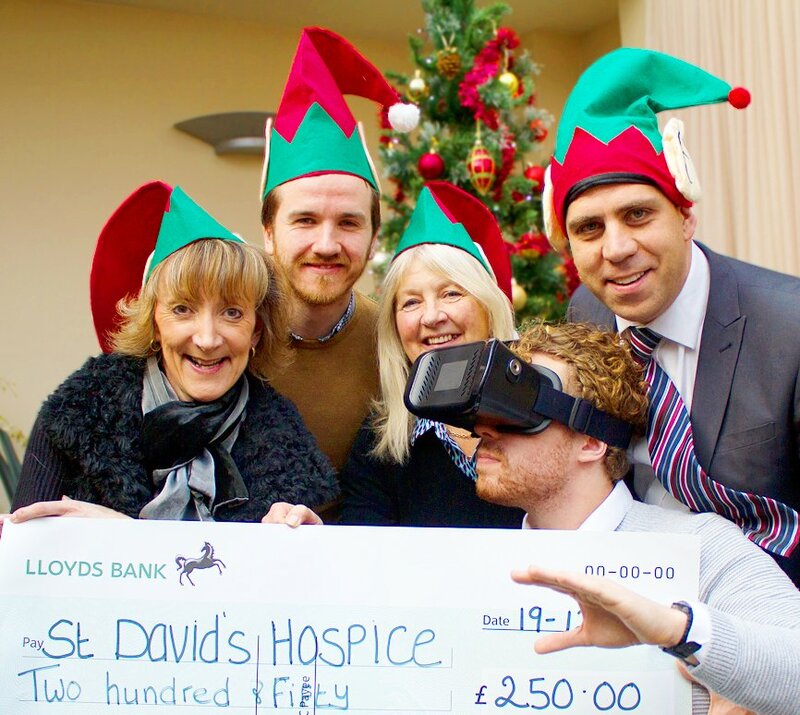 The annual Llandudno Christmas Fayre, which has grown hugely in recent years had a new attraction this year in the form of a Virtual Santa Sleigh Ride – North Wales VR Attraction. The virtual ride lasts around three minutes. Starting off in the safety of a snowy Lapland village, before galloping off into the air, gliding along a mountain route twisting through tunnels, over trains and under cliff edges. Livetech raised a total of £500 and this will be split equally between St David’s and St Kentigern hospices. The technology has been licensed especially for the event from the Polish company Lemon&Orange, which specializing in VR applications. The virtual ride was originally produced for Coca Cola and showcased in a Christmas fair in Warsaw and other towns and cities. The Virtual Reality requires a special headset called an Oculus Rift which contains two independent screens within it, the headset is hooked up to a purpose built powerful gaming PC computer with a cutting edge graphics card to keep up with all the complexity of the mathematical calculations required to generate the 3D world. The VR experience is suitable for all ages, which makes it great for kids and parents alike. Here’s a sneak peek of the ride….